Designed to give you beautiful mornings like waking up to a deluxe vacation. Mindfully crafted to ease you into a comfort sleep far away from home, providing a sleep haven you can indulge in. 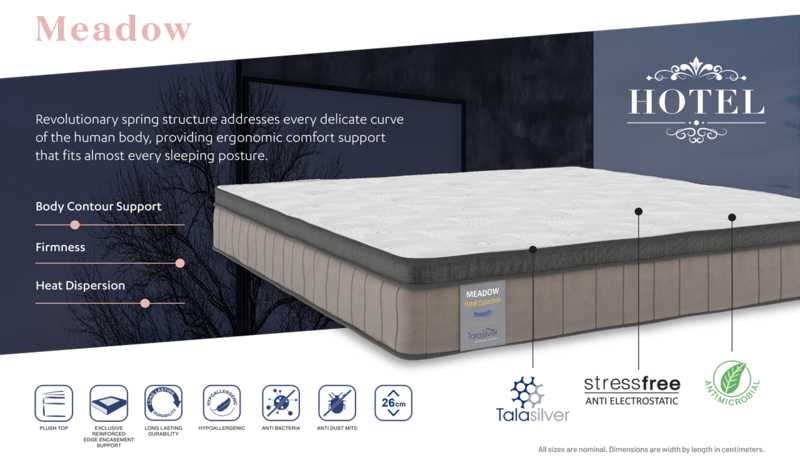 Revolutionary spring structure addresses every delicate curve of the human body, providing ergonomic comfort support that fits almost every sleeping posture. 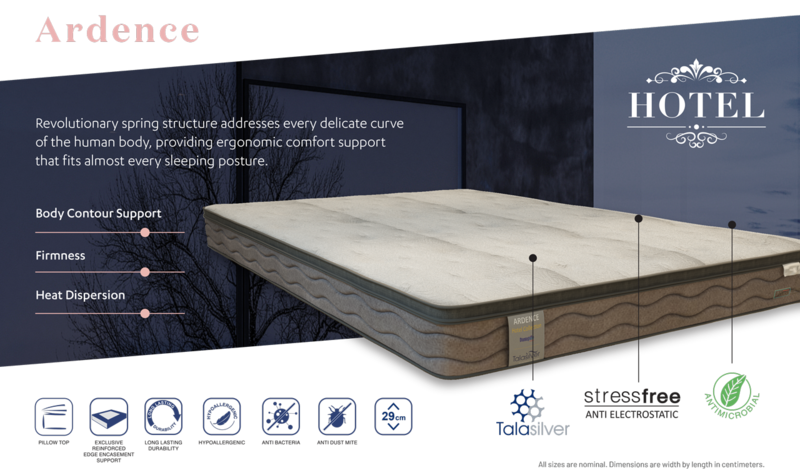 StressFree anti-electrostatic top fabric reduces tension and restores the body back to the vital stage while you are sleeping. Anti-microbial infuses top fabric efficiently. It prevents and eliminates the growth of micro-organisms, bacteria, and odour, ensuring hygienic sleeping environment. With a remarkable Total Heat Tempered spring system that promises optimal elasticity, great resilience and high durability from head to toe, a Normablock mattress is sure to deliver the ultimate support to any sleeper and all sleeping positions. Truly a one-of-a-kind experience. This revolutionary pocketed innerspring system utilizes automated technology that strategically positions pocketed coils of varying heights in the same row along with the integration of Dunlopillo IPS Stabilizer, ensuring maximum & unsurpassed comfort, support & versatility. Thermocool’s fibre technology reduces tossing and turning by maintaining a consistent, comfortable temperature all night long. It’s temperature fluctuation control also keep sheets, bedding and mattress fresher.